Nights At The Roundtable Special with The Yardbirds in session at The BBC - May 1966. Probably one of the most influential and star-studded bands of the 1960's no doubt would have to be The Yardbirds. Aside from British Blues legends like John Mayall who hosted a virtual who's who in the British Blues movement, The Yardbirds were proving grounds for some of the greatest guitarists in Rock. 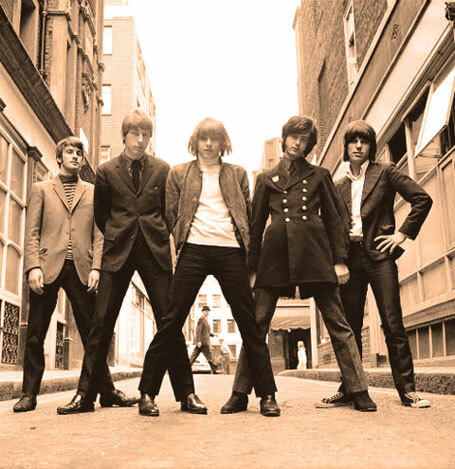 Eric Clapton, Jeff Beck and Jimmy Page at one time or another were in The Yardbirds - in the case of Beck and Page, both were in the band together for a brief time, even though Page was enlisted to take over Bass guitar duties after the departure of original bassist Paul Samwell-Smith. They did several sessions for the BBC, from the period 1964-1966, and tonight's session comes from the February - May 1966 period, with the session in May being the last to feature both Jeff Beck and Jimmy Page sharing lead guitar duties. Beck would leave shortly after to form The Jeff Beck Group and enter another chapter with another star-studded band. Tonight's set consists of three songs which were featured on the Saturday Club series. I don't have to tell you, but I will anyway - play loud. And while you're doing that . . .please consider chipping in a few cents to keep Newstalgia afloat.